Taylor’s baritone guitars produce a husky voice (tuned to B) with loads of warmth, low-end richness, midrange growl, and treble presence. 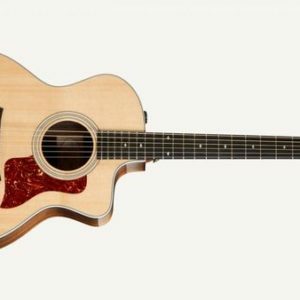 The lower register will appeal to singers with a lower vocal range, and the guitar’s voice adds a complementary acoustic texture for weaving bass lines with another acoustic guitar in a duo setting. The mahogany top on this special edition baritone Grand Symphony evens out the dark, woody, warm character on the low end for a pleasantly balanced response. If you crave a fresh tonal palette to reinvigorate your playing or songwriting, this will make a great addition to your acoustic arsenal. 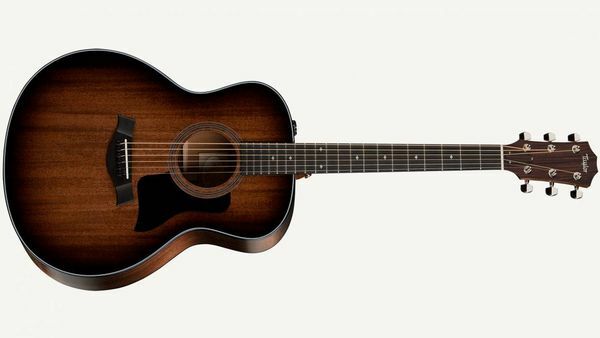 A shaded edgeburst adds extra vintage appeal to the rich-grained mahogany top. 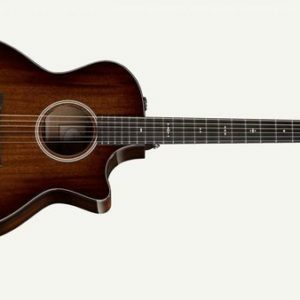 Taylor’s natural-sounding Expression System® 2 pickup will capture that rich baritone depth for live settings.